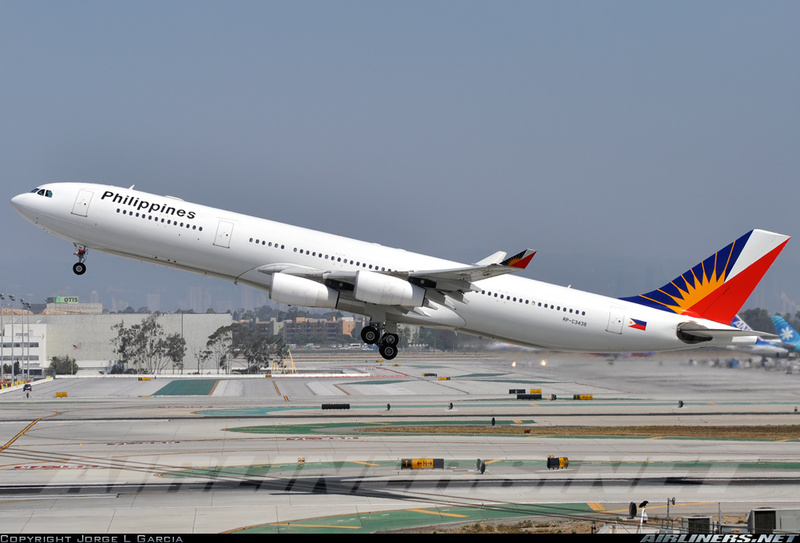 Aviation Updates Philippines - National flag carrier, Philippine Airlines, introduced non-stop flights between Cebu, Philippines and Los Angeles in the United States as part of its U.S. expansion plan. According to the flag carrier, the launch of flights between Cebu and Los Angeles coincides with the airline's 75th founding anniversary on March 15, 2016. To recall, Philippine Airlines launched its direct Manila-London flights on the 74th founding anniversary on March 15, 2015. “Our customers in the Visayas and Mindanao have long clamored for direct flights between Cebu and the US due to the travel convenience this will bring. One can simply take a short hop to Cebu from any point in the Visayas and Mindanao and connect to Los Angeles, instead of flying all the way to Manila,” Philippine Airlines President and Chief Operating Officer, Jaime J. Bautista said. Flights between the two destinations depart every Tuesday, Thursday and Saturday from Cebu. It will be operated by an Airbus A340-300 that is capable of handling up to 254 passengers with 36 lie-flat seats on business class and 218 seats on regular economy. “Foreign tourists and our kababayans in the United States will benefit from the flexibility of choice in terms of flights to and from the Philippines," he added. Besides Cebu, Philippine Airlines currently operates 11 weekly flights out of Manila bound for Los Angeles, California. Philippine Airlines flies 35 times weekly to the mainland USA and two US territories combined. The airline operates 11 weekly flights to Los Angeles, 10 weekly flights to San Francisco and 4 weekly flights to New York. It also has 5 weekly flights each to Guam and Honolulu. The new route will bring to 38 the number of weekly flights to the United States. Currently, Philippine Airlines flies from the Mactan-Cebu International Airport to Manila, Nagoya, Osaka, Seoul-Incheon, and Tokyo-Narita. Meanwhile, PAL Express operates domestic flights out of Cebu to Bacolod, Butuan, Cagayan de Oro, Davao, Iloilo, Manila, and Tacloban.